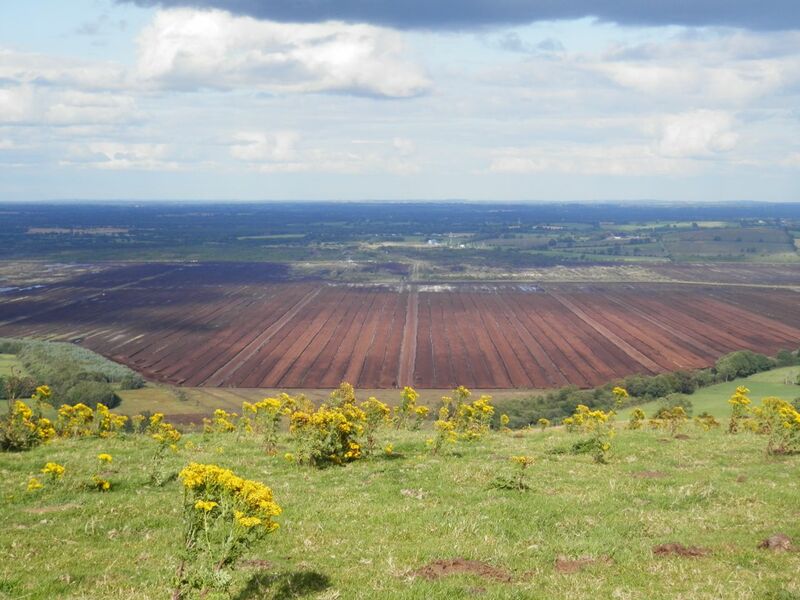 Histories are trapped in the bog lands of County Offaly. As turf is cut and peeled back, remnants of the past are exposed, released into our present. The partial body of Oldcroghan Man, discovered in 2003, now lies behind museum glass in the National Museum of Ireland. Pickled in peat for over two thousand years, the skin on his long arms is remarkably well preserved, retaining something eerily specific, personal. Stabbed, decapitated and cut in half below the torso, he was found near Croghan Hill, an extinct volcano and the site of kingship ceremonies in the Iron Age. His manicured fingernails and plaited armband are indications of high status, and the contents of his stomach (a last meal of wheat and buttermilk) suggest he was sacrificed, possibly after a run of bad harvests. Such narratives, presented in museum captions alongside bog bodies and artefacts, tell of rulers, travellers and thieves that were murdered, punished for their crimes or otherwise betrayed by their kinsmen. Depositing victims in bog pools might have been a further punitive measure, condemning them to a purgatory where high acidity and lack of oxygen prevented their decomposition. A return to earth, but of another, darker kind. More recent human casualties have been recovered from the bogs, too close to living memory to be displayed in museums. Objects are also found: barrels of butter, shoes, tools, weapons and ornaments dating from various periods and contexts. Their unearthing, facilitated by industrial mining, produces new histories. Museum curators decide which examples are appropriate, educational or of particular significance; anthropologists and archaeologists come up with theories and explanations to give them meaning. 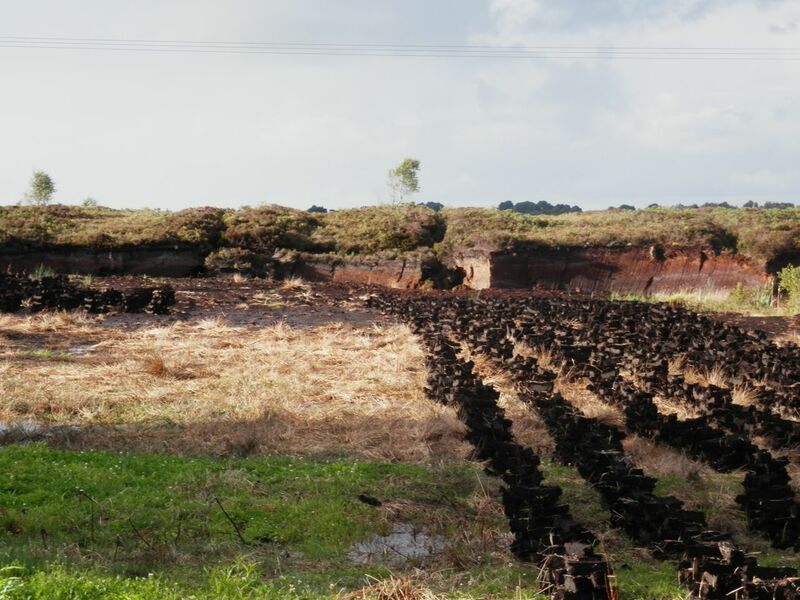 Yet a different logic of preservation runs through and across the layers of peat: an arbitrary historical record that evolves separately from our oral, visual and written narratives. Human histories are filled with hope and tragedy, remorse and redemption, causality and consequence. Bog history is a hall of echoes. Partial and diffused, its objects refuse a cohesive overview of events unfolding, of beginnings, middles and ends. 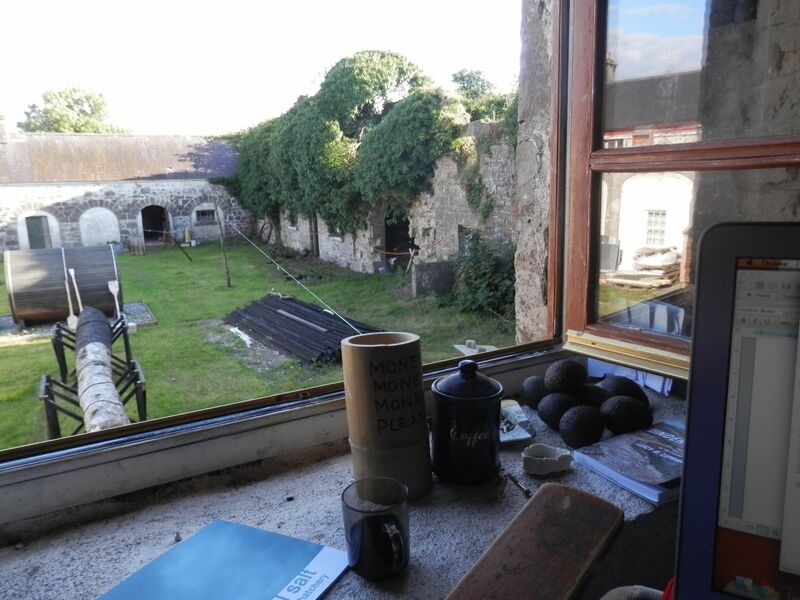 The Good Hatchery is an experimental initiative that hosts artists, curators and writers in a converted eighteenth-century farmstead near Croghan Hill. 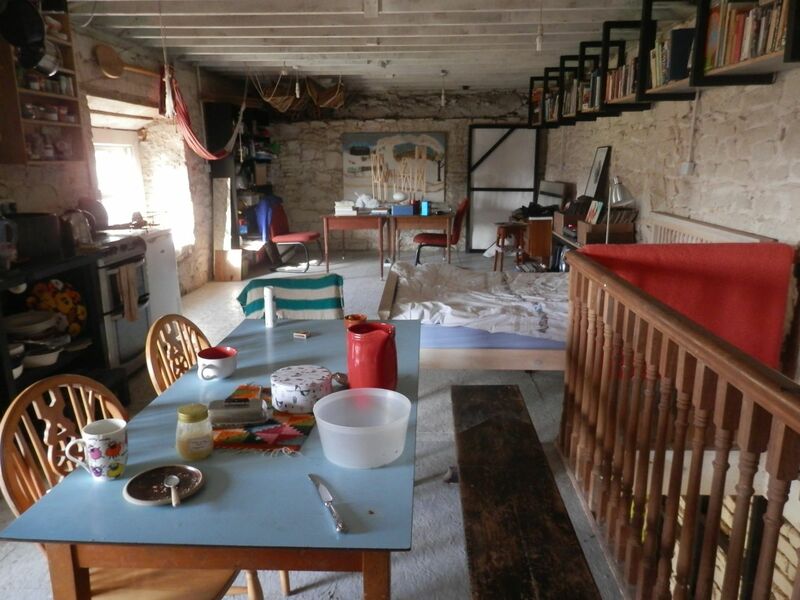 Its directors, Ruth E. Lyons and Carl Giffney, with the help of friends and fellow artists, have transformed a former stable and hayloft into an open plan live-work space and lower workshop. It looks onto a central courtyard where hens and cats amble through the detritus of past projects – a stage fashioned from a trailer, a mirrored shed and an enormous canoe carved from the trunk of a nearby fallen tree (Bravo Serotonin, curated by Giffney, 2012) – while a trampoline and Canadian cedar sauna sit like playful invitations. The part-ruined, part-renovated stead once belonged to a much larger estate, its stone borders extending for acres. We begin with a walk through a forest of hazelnut trees and arrive at a peat field, its rows of turf turned and stacked like so many tiny primitive structures. We eat, and Ruth tells us about the nearby town of Daingain where a prison barracks-turned-reformatory now houses oversized items from the local museum, which sit like dusty relics hidden from public view: a symptom of the failure of local councils to deal with the atrocities of recent memory. History feels close here, time is heavy. I am one of three volunteers on the Follies of Youth project, a collaborative initiative by Leeds-based arts organisation Pavilion, who have travelled to the Good Hatchery to work with Lyons on a project called Pilot Light. 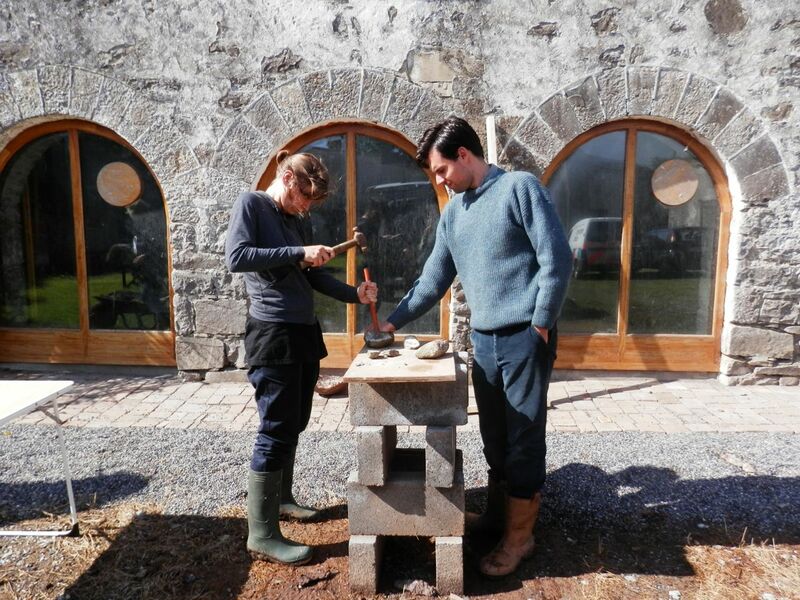 Over five days, and with the generous help of a number of collaborators, we will teach ourselves how to make quicklime, which will be used in an installation on the site of a former Capability Brown landscape in Byram, North Yorkshire, in the coming months. This initial stage is also a conversation with history. We will be performing an anachronism, extracting and refining natural resources as a way of engaging with technologies of the industrial past. On our second day we collect limestone rocks, testing their veracity with vinegar, lemon juice and hydrochloric acid. If they contain limestone, they should fizz. The acid works best. Next we break them, smashing them into smaller pieces with hammers and drills, opening up their insides. Fossils show themselves in smooth grooves and calculated patterns. Limestone is rich with crystalline calcite, partly comprised of fossilised sea life. Cockles. Shells. Coral. Little puffs of captured time escape into our present moment. Later on we watch films in the bunkroom, a programme vaguely linked to rocks and mining. The earth seems to pull; a dilated moon hangs low in the night sky. Day three sees us build our first kiln with cement blocks. Our efforts are rudimentary; we watch YouTube videos and look at diagrams, guestimate and make adjustments as we go along. We build the kiln collectively, the blocks laid speculatively and then with more certainty. We add a metal flue and christen it Gertie. 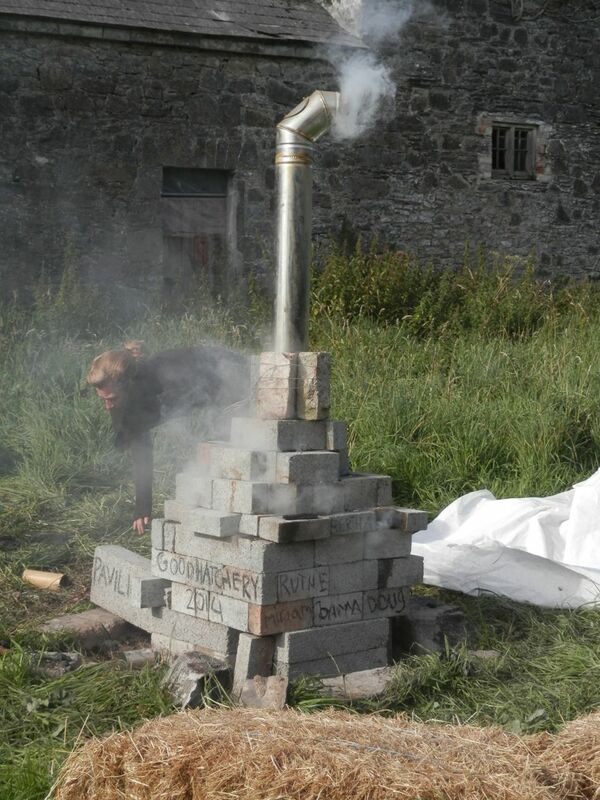 It is tall and narrow; smoke billows out of its cracks as wood, coal and rock burn for twelve consecutive hours. We take turns stoking the fire and keep vigil with food, music and stories. Ideas collect, hold, disperse. We learn about the history of the farmstead from its owner, Eileen Hanlon, who lives in the converted coach house. The Magan family, hailing from Galway, built its foundations in the early 1700s on the grounds of a castle. The walled neoclassical manor suffered a fire in 1846, the gutted structure later dismantled by the monks of Roscrea Abbey. Scandal hangs about the Magans: William Henry ‘the Bad’, who continued to live in the gate lodge after the fire, is rumoured to have dressed the resident butcher as a priest and set him alight as a party trick, and to have married his mistress before strangling her to death. A recent visitor to the farmstead reported the sensation of cold hands closing around her neck while she was ascending a staircase. William Henry’s sister Augusta is thought to be the inspiration for Dickens’ Miss Haversham, a wealthy woman who fled her Dublin residence after being jilted on her wedding day. When the Loreto Nuns purchased the property almost fifty years later they found the breakfast room still set for the wedding, and Augusta’s bridal dress draped over a chair. Hanlon is descendant from the family of caretakers who took over the property in 1908. She is also the gatekeeper of its tales and oral histories. Responding to an online advert by Lyons and her co-founders in 2007, graduates looking for a contemporary workspace and residency venue, she opened a door onto a new era of the property’s history. Artists use the Good Hatchery as a space for converging, talking, eating, thinking and making. It is a safe haven, an incubation chamber and a platform for ideas, located a manageable distance from the bustle of Dublin. Its interior walls have recently been painted with white lime render and a number of its furnishings recycled from the black wooden planks of Lyons’ 2012 architectural installation, The Forgotten Works at Project Arts Centre, Dublin. The bunkroom is black on white and smells of woodstove. Everywhere I am reminded of the soil and rock beneath us. I meditate on materials. How they come together and fall apart. Their power to preserve, transform and destroy. Lime, peat, rock, soil, matter. The systems of making and unmaking that churn below the earth. How do our interventions interrupt, augment, enhance these movements and cycles, and mark our presence as natural or unnatural? What is modern industry but yet another process? We have entered the age of the Anthropocene, geologists warn, a new stage in which the human impact on the natural environment is indelible and irreversible. Our technologies now rival the earth’s destructive potential, but lack its healing powers. I read on the news that oil mining in the Middle East has exposed the earth’s mantle. The headline evokes a vision of open wounds, of big claw marks tracking across vast territories, of hot bubbling crevasses. What that different world might look and feel like is the stuff of science-fiction: toxic gases hanging over deserted cities and suburbs, parched or flooded landscapes, the charred or drowned ruins of civilisation left to rot. In many post-apocalyptic narratives nature emerges victorious, shrugging us off with a disaster and returning to pick up the pieces, mending itself in our wake. The image of the overgrown Romantic ruin holds a special place in our collective unconscious, for it embodies our endgame: our final, inevitable return to earth. For all the recent buzz around ecomaterialism and thing-theory, models that call for a deepened understanding of the human in relation to other ‘things’, both natural and artificial, we may be too late to negotiate a working relationship with the complex ecosystems that make our existence possible. Downtrodden, broken up, emptied out – our time here will one day be recorded through the ceaseless pressures and flows of nature. Compressed and bound together, fragments of our bodies and material cultures will form constellations under the earth. Perhaps one day they will be discovered by some other civilisation, reordered and given meaning according to categories similar to or perhaps altogether different from deep time, prehistoric time, historical time, ahistorical time, etc. Our stories will be lost, but new narratives and interpretations will spring up in their place, based loosely on the remnants of our anatomies, physiologies, buildings, furnishings, tools, languages and artforms. Evidence will be gathered to explain and shed light on our extinction, the circumstances of our final days and hours. Lessons will be learned. Bertha yields a generous crop. 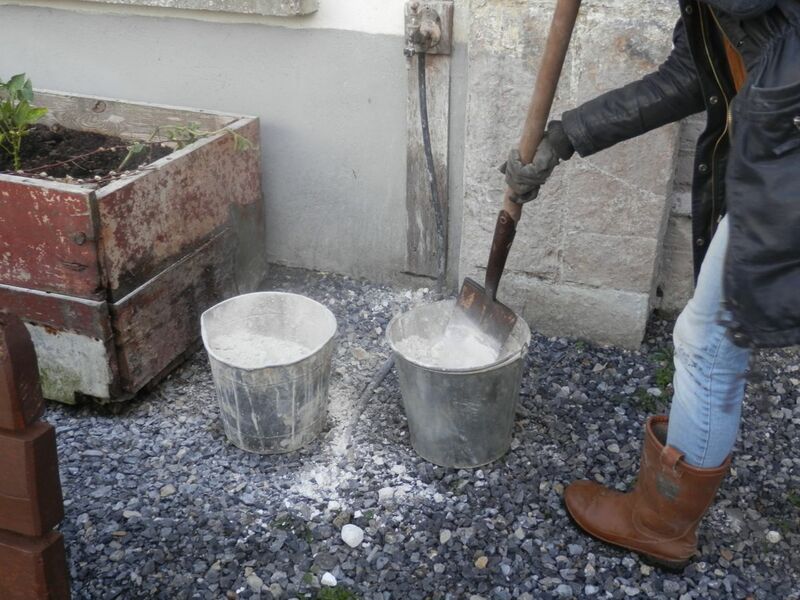 We watch transfixed as Lyons pours water into a bucket filled with chalky stones. Instantly corrosive, they begin to steam, soften, expand, and almost breathe, exceeding the limits of the container. The volume of the powdery quicklime nearly doubles. It makes me think of sinkholes caused by naturally dissolving pockets of limestone, of fossilised sea life being released after millennia, their delicate lines and textures merging, receding and sinking back into the soil. It is extraordinary and terrifying how nature pulls together temporary worlds; snatches things from our continuum, holds onto them a while, and lets them go. It is not interested in permanence or legacy, and never hesitates to kill its darlings. *Thanks to Ruth E. Lyons, Eileen Hanlon, Miriam Thorpe, Doug Bowen, Carl Giffney, Emma Houligan, Kathryn McGuire and Barra Dinan for their participation on Pilot Light, and to the directors at Pavilion for their support. [i] Lucy Lippard, Undermining: A Wild Ride Through Land Use, Politics, and Art in the Changing West (The New Press, 2014), pp. 8-9. [ii] Lippard, Undermining, p. 179.